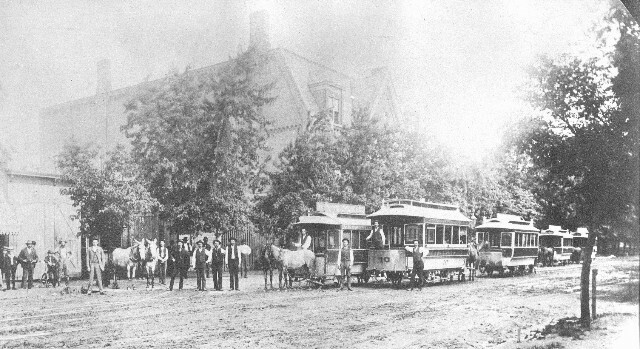 Horsecars in Danville. The second picture is a closeup detail from the first. The nearest streetcar, identifiable as number 10, has a deck roof, a more modern roof than the Bombay roof on the other cars seen. This suggests that it was a more recent acquisition than the other cars.